State of Decay 2 is the next installment in the open-world zombie apocalyptic survival fantasy series from the Seattle-based developer, Undead Labs. Released on the Xbox 360 in 2013, State of Decay immersed fans into its permadeath zombie experience where each character had their own unique stories, personalities and traits, as well as a worry of limited resources and the fear of eventual death. It was a surprise hit for Microsoft Studios ahead of the release of their new Xbox One console later that year, but it had players hooked with its unique approach to survival in a post-apocalyptic zombie world. 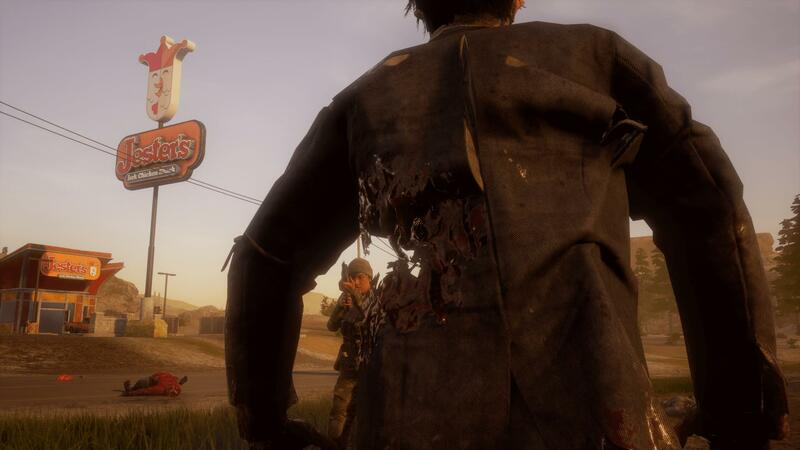 Nearly five years after the release of State of Decay comes its eagerly-awaited sequel, set 18 months since the dead has risen and civilization collapsed – and 15 months after the events of the first game. It’s not long until you learn that even the military couldn’t stop the zombie hordes, and now it’s up to you to once again gather survivors and build a community with your friends in this post-apocalyptic world where every decision is crucial and comes with its own lasting consequences – some will be temporary, whilst others are permanent. State of Decay 2 is a zombie-filled world of tension and survival drama. In State of Decay 2, you literally define what it means to survive in this open-world filled with hostile zombies, human enemies, and valuable resources. These resources are necessary to keep each member in the community alive. Whether its food, water, medicine, fuel, or armaments, these are all critical for maintaining your community and keeping a positive and stable attitude among each member. Without resources, the community will become frustrated, with some members potentially leaving, and others refusing to carry out their assigned tasks. At the end of the day, this is a group of humans, frustrated by the current way of life, and their actions can vary by person-to-person. State of Decay 2 is the first entry in the franchise to launch on Xbox One and Windows 10 PC. It also takes advantage of Microsoft’s Xbox Play Anywhere initiative, which allows you to buy the game once from the Microsoft Store digitally and enjoy it on both platforms at no additional cost with cross-play and save profile synchronization. That note about cross-play is an important one to keep in mind, because State of Decay 2 introduces the highly-requested ability to enjoy the game in co-op with up to three other friends as you explore an open-world filled with hostile enemies, the undead hordes, and of course, those ever so precious resources. You’ll no longer need to fend off the vicious zombie apocalypse alone. 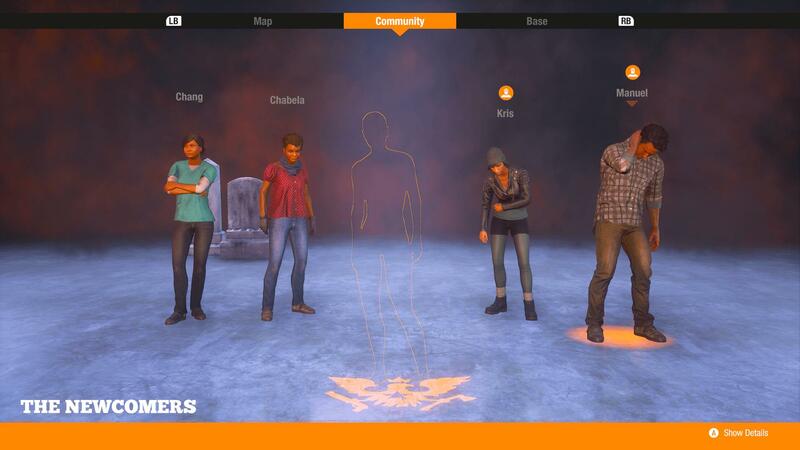 You'll have a choice of premade character scenarios to choose from in State of Decay 2. 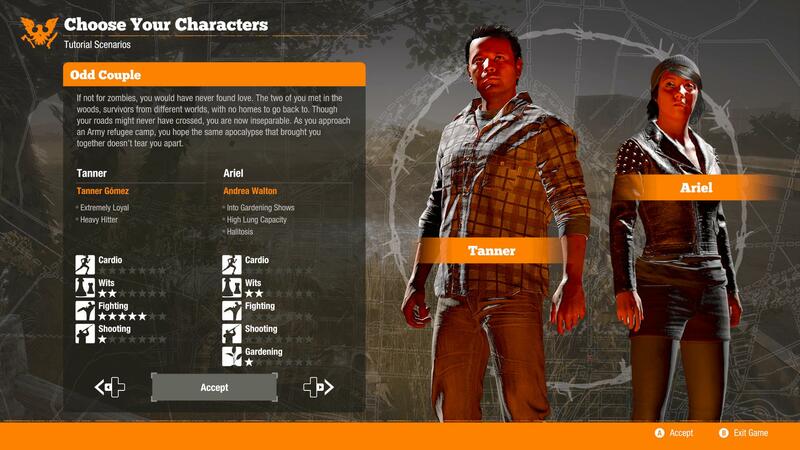 The first time you log into State of Decay 2, you’ll be asked to choose your first duo of survivors. Each of these have a different backstory as you experience the formation of your community. You’ll have the decision on where your group chooses to locate and set up base. Indeed, before you even reach the first snippet of gameplay, you’ll be making critical decisions that will impact your State of Decay 2 experience. This is a game that’s curated by you, the player, and it’s all powered by several dynamic systems the team at Undead Labs have crafted for their zombie-apocalypse fantasy game. After checking out the selection of different characters and their backstories, I decided to opt for the two recent lovebirds – Manual and Kris, as they were called in my game. Their relationship formed through the zombie apocalypse when they met in the woodlands, and this immediately caught my interest as I was curious to see how it would develop throughout the game. Obviously, one wrong move on my behalf could lead to the death of either of these characters – or even both if I wasn’t careful. Regardless, I was looking forward to seeing how it would all play out. State of Decay 2's lighting effects scream zombies, and they're even more dramatic in HDR. State of Decay 2 opens at an almost deserted military base for its tutorial introduction. Soldiers have fled, the entire zone has become overridden by zombies. As you navigate the base in the hope of finding some human life, your partner – which was Kris in my scenario, will become attacked and bitten by a deadly zombie carrying Blood Plague, which means she will eventually transform into one of them overtime, but the more immediate effects include fever and overall body weakness. 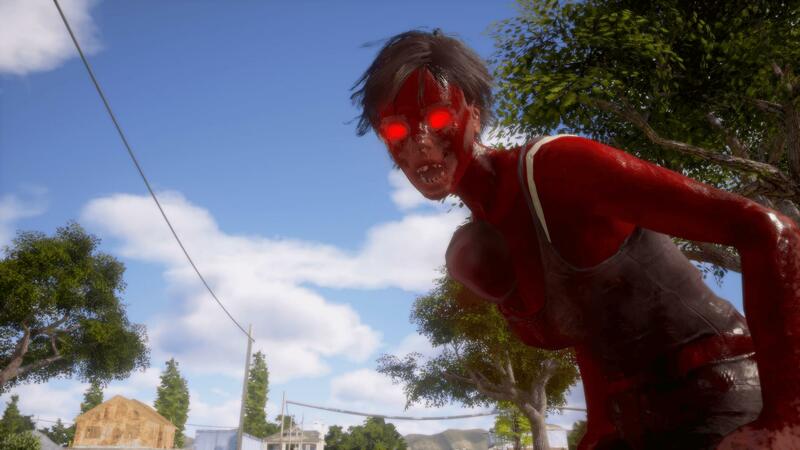 Zombies with Blood Plague are a new addition to State of Decay 2 and stand out from the rest of the undead pack with their glowing red eyes, and if you’re bitten by one, you’ll notice a gauge on the side of your screen begin to fill. Eventually, you’ll encounter a remaining soldier at the base, who soon leads you to a doctor with a cure. However, she doesn’t have the necessary samples to make up a solution, which means you’ll need to hunt down several of these Blood Plague-infested zombies and collect sufficient samples to create that cure. Watch out for those boody red-eyed zombies. They're infected by the Blood Plague, and deadly. State of Decay 2 takes everything fans loved about the first game and greatly expands on it, featuring a huge roster of unique characters with their own backstories and motivations. There’s also three new maps in the form of Meagher Valley, Cascade Hills, Drucker County – each of which is the size of the original game’s Turnbull Valley. This allows you the ability to set up multiple communities and save profiles, so if one location isn’t treating you well, you can switch to another. Once your group takes a vehicle and you choose where to establish your first base, you’ll drive towards that location as the game begins to truly unravel. I decided to choose Meagher Valley to setup my base as it sounded like the most interesting of the three locations. As we arrived at the valley, our vehicle had broken down and ran out of fuel. This meant we were on-foot and had to scout various houses to decide where to establish our base. Upon finding a suitable location, it must be cleared out of zombies as work begins to transform it into a living, thriving everyday community. 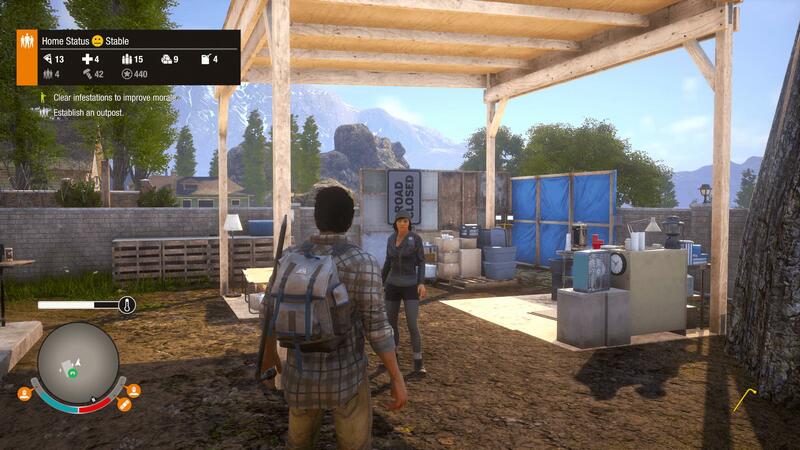 Setting up your first base is a slow process, especially if you're a newcomer to State of Decay. The easiest way to become accustomed to your surroundings and the buildings around you is to visit the Survey Points sprinkled throughout each location, which are helpfully labelled with binoculars on the map. As you climb these Survey Points and zoom in on the question marks, the game will reveal what each locale offers in terms of potential resources or outpost effects if you were to add it as another base location for your ever-expanding community. Each outpost you claim offers effects such as better ammo or an improved medicine supply, and since you can only have a select number of outposts at once, you’ll need to decide which ones best suit your play-style. Your overall base serves as the hub for your crew of survivors, some of whom provide side missions that can help build up your community’s resources, find other survivors to add to the group, or meet other squads of survivalists that you can trade with – or if you’re inclined too, even murder and steal from. These are your decisions to make, and the consequences of those are yours to live with. Decide wisely, as each decision is also permanent. Using Survey Points to indentify different locations can be key to planning expeditions. One such scenario saw our camp’s medicine stolen when everything was going well – and morale took a toll for the worst. I had the choice to either leave it or attempt to recover those meds, and I opted for the latter. They were stolen by the ‘Scavengers,’ according to someone who had witnessed it, but things soon turned hostile as they attacked us when we confronted them about the incident. It was a sudden move, as initially it appeared they wanted to cooperate with us. Due to this, we lost two of our best survivors. I should’ve heeded the advice from another of our members about letting it go. When your survivors die, you do genuinely miss them – as if it were a protagonist in a game that had been killed. It’s the reality of this perma-simulation, where there’s just no going back. Period. Finding, securing and building up bases and outposts is one of the most important aspects of State of Decay 2. But for a thriving community, you’ll need to scrounge for every bullet and scrap of food you can find. It takes time before your base is well-stocked with weapons, food, medical supplies and backup, and initially, food and medicinal cures will be your priority as you keep your fellow survivors alive. As you’re scavenging for these supplies, you’ll often be promoted with various missions and tasks that require you to meet or save survivors from other groups or find rucksacks full of supplies. Surviviors have their benefits and weaknesses in State of Decay 2, but they can be improved. 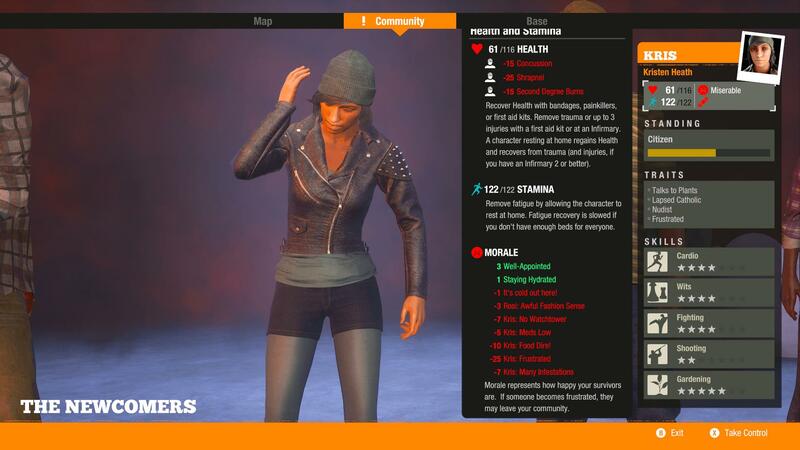 You’ll also need to improve the skills of your survivors to make them more productive, whether it’s in medicine, gardening, cooking, electronics, computing or even fighting, these are all important aspects to making a smart, talented group of survivors in State of Decay 2 who can fight for themselves and make life a little less ‘doom and gloom’ and a bit more how it was before the zombie apocalypse. Reaching that stage isn’t an easy task, however. The best place to start is by building up your base. A medical facility to create cures and bandages was the priority for mine before later crafting a rain collector to provide a source of clean, fresh water. Additional beds were also made so we could invite more survivors to our group, because ‘the more, the merrier,’ as they say. However, this isn’t always the case in State of Decay 2. As you add more survivors to camp, tensions can begin to rise. Disagreements over the certain clothes of one character or the decisions of another. They can become frustrated over a lack of resources and threaten to leave. One of the scenarios I encountered saw Kris desiring to find a record player for all the vinyl she had collected – but unfortunately, she couldn’t track one down. Found a classic muscle car? 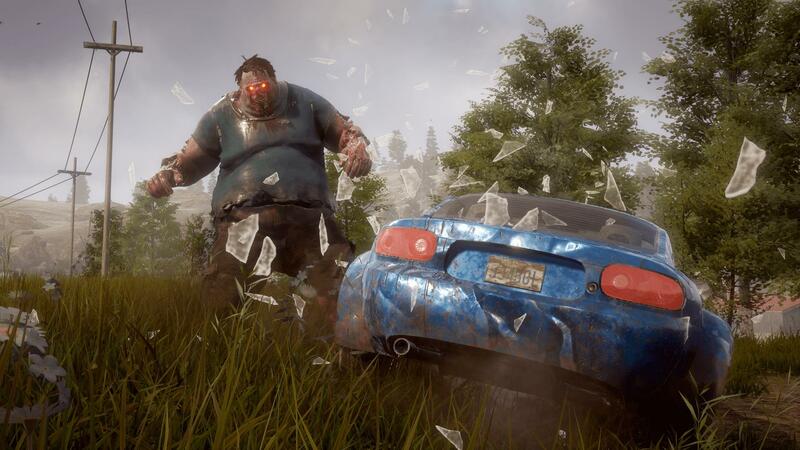 Vehicles have a surprisingly important role in State of Decay 2. Survivors can go from being happy and content to becoming depressed and miserable fast. Adding more survivors to your group can also increase the chances of infections hitting your base from the plague or even the injury and death of certain survivors, which all contributes to an overall decrease in morale. It’s important to be picky about your survivors and choose those with the skills and traits you desire. If certain survivors are constantly arguing, this could lead to all kinds of issues, so exiling them from the group might be best. At the end of the day, this is a simulation involving people, so there’s no real ‘impossible’ scenario in State of Decay 2. Anything can happen, and everyone’s experiences will be somewhat different to each other. 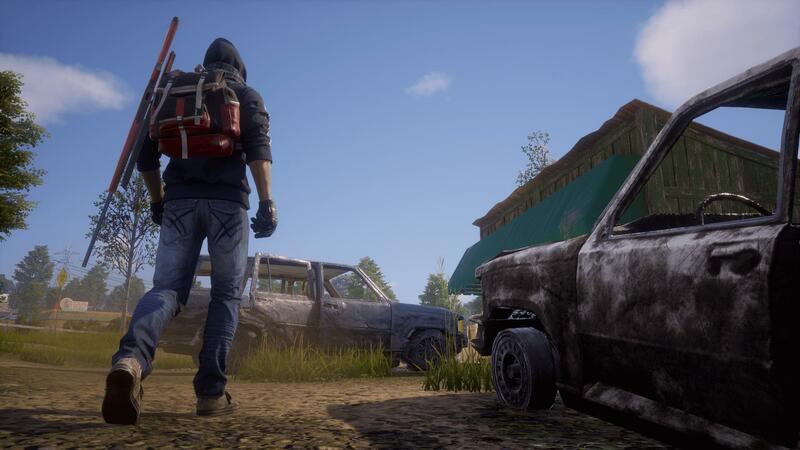 Vehicles are also to be found in State of Decay 2 and they play a more surprising role than you may have anticipated. There isn’t a whole lot of them located around each map, so it’s important to keep them at your base and to prevent them from becoming damaged. Each base has a variety of parking zones, which makes storing vehicles possible. You can also repair, modify and even upgrade them should you have the necessary tools, but cars also require fuel – which can be found in different facilities around the map, typically in garages and old sheds, as well as auto-shops and of course, gas stations, based on my experience. Stocking up on fuel is essential as vehicles burn through it rapidly fast. The trusty 'Road Racer' attempts to take on a large Juggernaut. 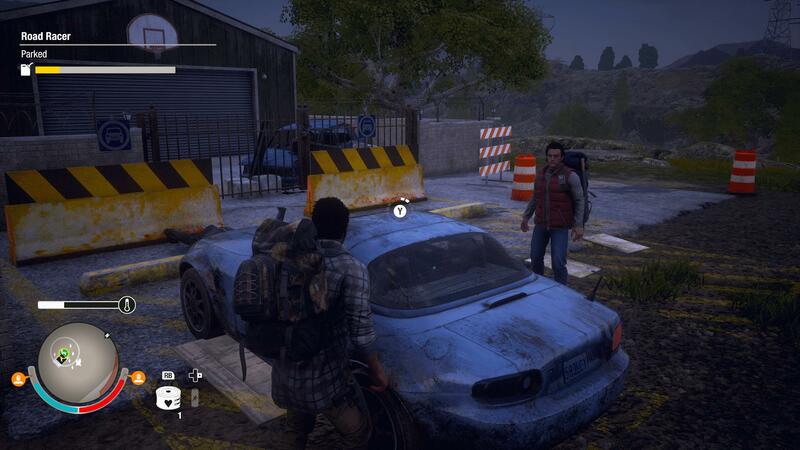 There’s a variety of uses to having vehicles in State of Decay 2. Firstly, the boot can be used to store objects you don’t have enough space in your backpack or pockets to hold. The smartest strategy here is to keep larger items in your boot, such as rucksacks full of resources you find when scavenging, as well as fuel and backpacks full of various items that you’ve either sourced or traded with another survivor to obtain. Vehicles can also splatter through zombies, and you or your passenger can even open the doors and have them splatter through the guts of the undead – covering your vehicle in a fresh coat of red blood. There’s also headlights, which sounds obvious, but toggling these at night time when its pitch black can often be essential when on an expedition. One of my favourite cars has to the ‘Road Racer’ based on a Mazda MX-5 – it’s fast, versatile, and does a brilliant job of smashing through zombies. 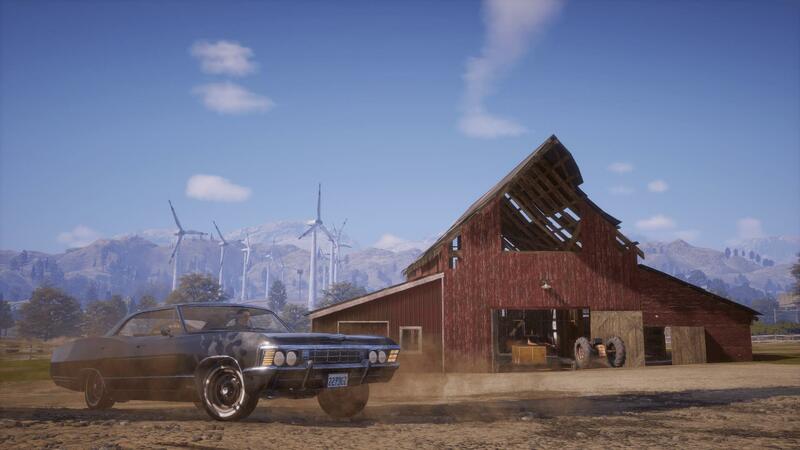 I’ve even seen some players build up a vast car collection at their base full of unique and useful vehicles, including jeeps, off-road trucks, vintage classics, and muscle cars! That’s a smart approach, as it always means your base will have a backup vehicle should anything happen to your main one. In terms of handling, they get the job done. They’re floaty and can easily flip-over, so don’t expect them to be precise on the road, especially if you’re driving fast with the undead horde, various blockages and other flipped over vehicles often in your way. There’s nothing worse than having a vehicle full of life-saving resources and useful items explode on the way back to your base. You can upgrade and modify vehicles to be equipped and ready to take down the undead. Additionally, it’s crucial to store vehicles at your base so you always have them whenever its necessary. Whether you want to scavenge multiple rucksacks in one outing, or even stockpile on backpacks full of weapons and resources when engaging in a hostile fight with other survivors or taking down a wave of zombies and bosses at an infested zone. It’s also important to destroy Plague Hearts whenever you come across them, as they lead to even more Plague Zombies. Stockpiling on explosives and high-powered weapons full of ammunition is a necessity when it comes to effectively destroying them. 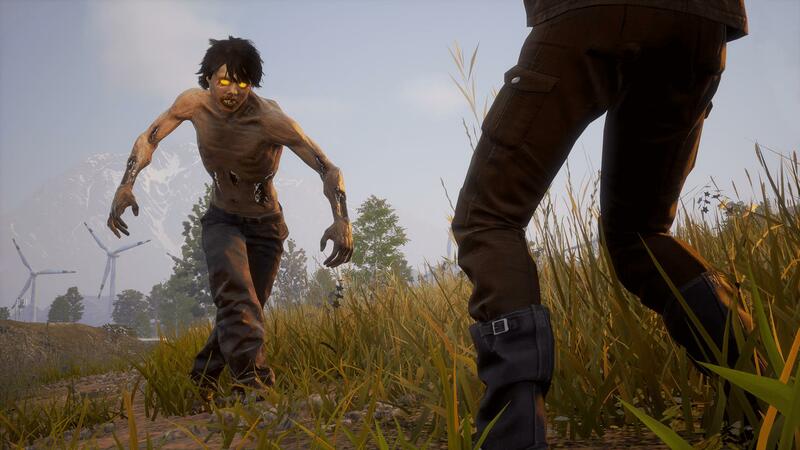 As well as plague-infested zombies, State of Decay 2 also has numerous other new enemy-types over its predecessor, including the Feral – an extremely fast-moving zombie than can be tough to land hits on and take down. In fact, shooting them can be next to impossible, so it’s better to try and take them down with melee weapons – or in my case, to simply step on it and drive as far away as I can. State of Decay 2 introduces new types of zombies, which means new strategies are required. There’s also the Juggernauts, which are hulking, bloated zombies that are tough to kill. Whilst they’re easy to shoot – you’ll need a lot of ammunition. You’ll also need to pray your only handgun you brought with you doesn’t jam in the middle of a fight with him – like mine did, otherwise you might get flattened. Thankfully, I was able to land a few more hits with a melee weapon before using my trusty Road Racer vehicle to ram into him a couple times to finish the job. Whichever way you take on a Juggernaut, it’ll need to be smart, and it’s best to have plenty of bullets ready to land into his guts. Otherwise, he might just grab you, chomping down on your neck before tearing you in half as bloods and guts cover your screen. It wouldn’t be a good way to end, so that’s why being well-equipped when travelling is essential. Luckily, most zombies in the game are of the standard type and will only come after you if you come close to them or make noise. When they’re alone, you can easily sneak up and drive a knife through their skull – or you can knock them off, finishing them with a brutal smash against their head. Taking down a Juggernaut requires several well-executed hits. Hordes of zombies can be more challenging, but if you have a vehicle, blasting through them all at once is always a fun experience – and a good way of covering your screen in blood without it being the guts of your survivors. Screamers are a real pain though – their boozing roar can attract waves of the undead towards you. This can be a nuisance when trying to clear out an infestation, which is where they’re usually located. There’s also Bloater zombies that can release infectious, toxic gases around you after their death – draining your heath and stamina, so it’s best to say far from those. 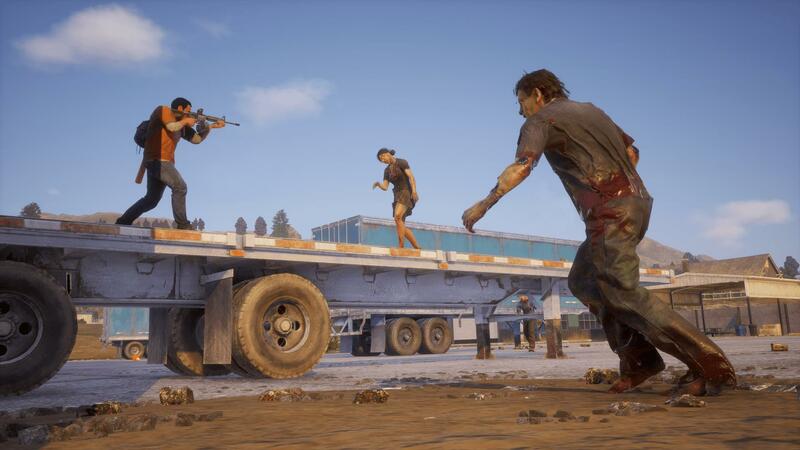 Killing zombies and bosses in State of Decay 2 will often reward you with influence – the key currency and resource used for managing your community. Completing various missions and side tasks will also reward you with influence, and it’s shared among all your survivors. Influence can be used to acquire new outposts and can also be traded with fellow survivors from other groups for items you desire, such as weapons, rucksacks and resources. Getting rid of some of your unwanted junk can be a great way to earn influence, especially if it’s a luxury good that’s highly sought-after, such as hand sanitizer or even cheap bottles of vodka. Scavenging for goods in State of Decay 2 allows you to build up a collection of tradeable items. There’s plenty of luxurious and expensive goods like this in State of Decay 2, and these can often occupy your group of survivors and keep the overall morale high. For example, if you manage to find a generator to produce electricity, you can even setup a games console based on the Original Xbox. If this is a main worry though, then that means your base must be in excellent condition with resources plentiful, considering survival is the priority here. 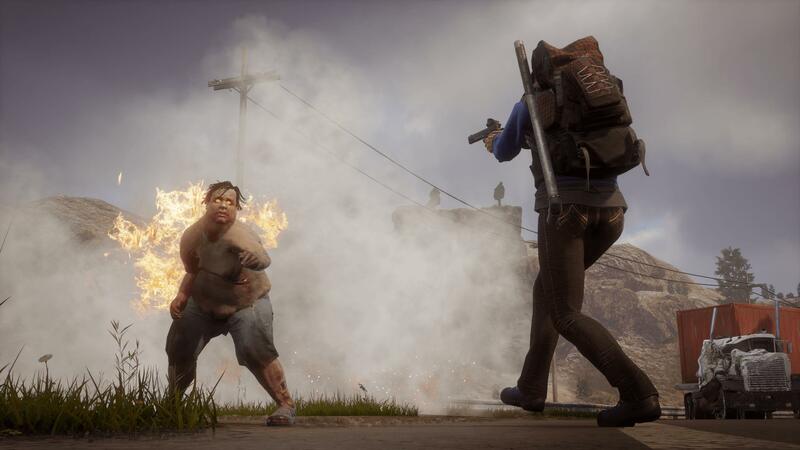 Once you’ve reached a stage in State of Decay 2 where your survivors can fend for themselves and the resources are in good supply, then it’s time to begin considering the skills of your survivors. Eventually, you’ll have to nominate a leader of the group, and this should be the person with the best talents. Be it someone with a high level of stamina, excellent aiming and plenty of strength to keep your group of survivors protected from the undead horde or dangerous thieves, or even someone with the wits and brains who can help produce electricity, setup gardening and new medical facilities, and even get some computers facilitated that could be used to hack into drones. It’s up to you, the player, in terms of the areas you wish to focus on and the types of advancements you want to make for your base and its facilities. Bases can be improved with different facilities, upgrades and outposts. With each character having their own unique combination of skills and traits, this impacts how you’re able to use them, and it’s important to capitalise on the strengths of each whenever you can. Each character has four primary skills that dictate how they can interact with the environment: Cardio, Wits, Fighting and Shooting. Cardio determines how far you can run before you’re fatigued, while Wits determines your stealth abilities, enemy detection range and container searching speed. Fighting and Shooting are exactly what you’d expect them to be. The former dictates your level of health and ability with bladed, blunt weapons, whilst the latter is tied to how good your overall aim is. Each of these skills can be levelled up to seven stars as you play, simply by using them. The more enemies you fight, the better your fighting skills gets. Once you’ve maxed out a given skill, you earn the ability to specialize in it to earn increased benefits. The overall morale and attitude of a community typically depends on the resources available. Many characters also have a fifth skill, some of which also offer big benefits. For example, a mechanic’s specialization of engineering allows you to craft silencers for ranged weapons and build upgrades for your vehicle, whilst the gardening skill allows a survivor to plant seeds to grow and lead to an ongoing replenishment of food supplies. Creating a constant stream of food, water, ammo, fuel, and medical items will be crucial to your survival in State of Decay 2. There’s also a shared community locker that offers everything your group of survivors has collected, including weapons, ammo, bandages, snacks and food, educational books to learn and improve skills, and other useful items. As for your own inventory, this is where you carry whatever you wish to bring when scavenging – and backpacks allow you to bring even more essentials with you. It’s important to balance skills lethality, durability and speed for the items you bring. There’s nothing worse than a gun jamming or a baseball bat falling apart whilst in the middle of combat. A combination of food, melee weapons, guns and ammo are essential – leaving room to grab more items on the way. Fuel is also very important should you be bringing a vehicle with you. Balancing your inventory and supplies is also something to consider when joining a friend’s game and choosing which survivor you’d like to bring with you. Permadeath still applies here, so it’s important that you bring the right survivor with the best tools for the job. You can level-up your survivor and gather items when in another player’s game to bring back to your community, but the main layer of progression will be tied to their base and their storyline. You’ll also be tethered to the host, but you’re still offered a fair amount of freedom, so this shouldn’t be too much of a worry for most players. It just means you can’t do separate excursions, however. One of the best things about four-player co-op? Taking down those nasty Plague Hearts. You will earn influence points when in a friend’s game by successfully completing activities, and you’ll also be able to drop items for others to pick up, use and keep. 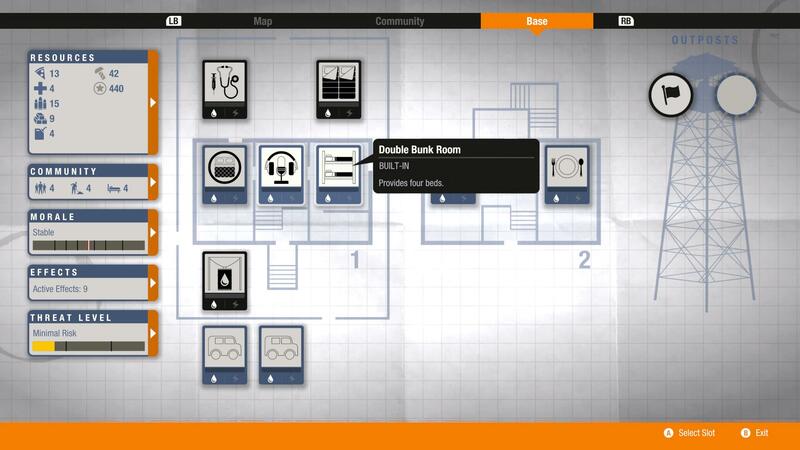 You can also access your supplies and gear when in another session with a friend, via their bases and outposts. Achievements are also unlockable, and State of Decay 2’s set are mostly linear and easy to unlock through simple progression. Co-op play will also reward you with special rewards the longer you remain in another player’s game, so there’s many incentives to enjoying State of Decay 2 online with friends. Up to four players can be in a session at once, but unfortunately, State of Decay 2 doesn’t use dedicated servers. It instead relies on peer-to-peer hosting, which can be atrocious without the best internet connection. This can result in frequent lag spikes, disconnects, as well as other weird glitches and bugs when playing with friends. It can also take a toll on framerate and the overall performance of the game. Why Undead Labs didn’t opt to use Microsoft’s Azure cloud services in this game to power the co-op servers is beyond me, but here’s hoping dedicated servers are added in the future. The decision to use peer-to-peer instead of Azure services is baffling at best. Unfortunately, this isn’t the only issue with State of Decay 2. The visuals aren’t too impressive for an Xbox One X Enhanced title either. It runs in native 4K resolution with HDR, which results in some diverse and incredible lighting effects, but the texture quality isn’t the best – nor are the character models. The draw distance is also weak and pop-in is noticeable – with blurry, low-quality assets made obvious when looking up ahead. There’s even a weird screen-tear effect that occurs when driving fast at night time, whilst framerate drops are frequent – even when you’re just chilling at your own base, walking around and engaging with other survivors. These are the types of issues you’d typically come to expect from an early access title, but State of Decay 2 isn’t that at all. It’s a full retail release available both physically and digitally, and whilst these issues are unfortunate, they’re usually bearable for the most part, and I’m confident Undead Labs will address them overtime based on fan-feedback. There’s also other oddities, such as zombies falling from the sky in front of you, as well as doors that appear open but are instead shut. State of Decay 2 isn't a visual showpiece. It doesn't look bad, but it doesn't match other titles. If you can forgive these issues, then you’ll have a lot of fun with State of Decay 2. Its gripping, addictive gameplay saw me pour countless hours across multiple nights over the past week into building up my base whilst also trying to protect my survivors by gathering resources for the community. 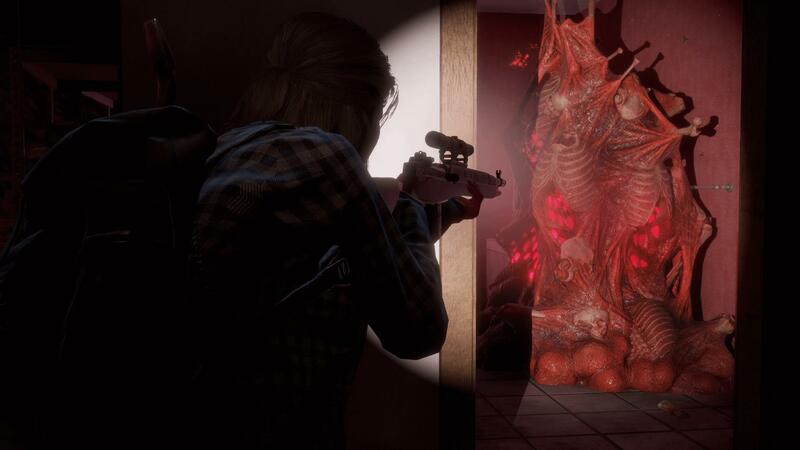 Some reviews for State of Decay 2 have mostly focused on bugs, whilst others have spoken about the experiences they’ve had in this zombie survival apocalypse. The biggest issue with State of Decay 2 for me comes down to the co-op experience – if this is addressed, the rest can be forgiven for the most part. State of Decay on the Xbox 360 wasn’t without its issues, but for its sequel, all fans wanted was that same experience with the addition of online co-op, albeit more polished. One that would allow them to be able to create their own base of survivors in a zombie-apocalypse simulation when friends. 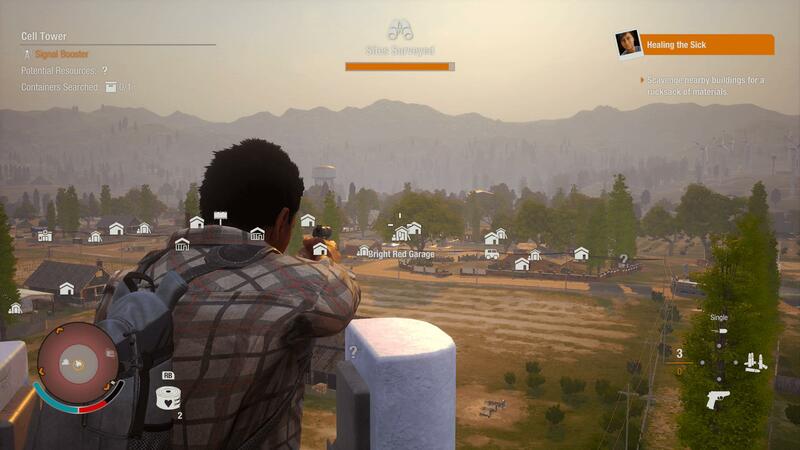 When it works, that’s exactly what State of Decay 2 delivers, but when the bugs and server issues begin to hit, it can severely spoil that experience. There’s nothing worse than your friends lagging all over the place when trying to fight off a Juggernaut amongst a wave of the undead horde. State of Decay 2 has delivered hours of fun for me, but in a way, I feel like I’m only getting started. I need to establish more survivalist groups, explore all the maps in detail, and build up an ever-expanding foundation of resources for all my survivors. I also want to try and get a car collection displayed outside my base – all modified, ready and waiting to obliterate through the undead horde, before later trying to take over a Police Station north of our base as an outpost, which has tons of useful facilities whilst offering a more spacious environment for our community. Then perhaps establish some computer whizzes to tap into the potential of taking over drones to use to our advantage. State of Decay 2 is full of simulated mechanics that will take hours to discover. 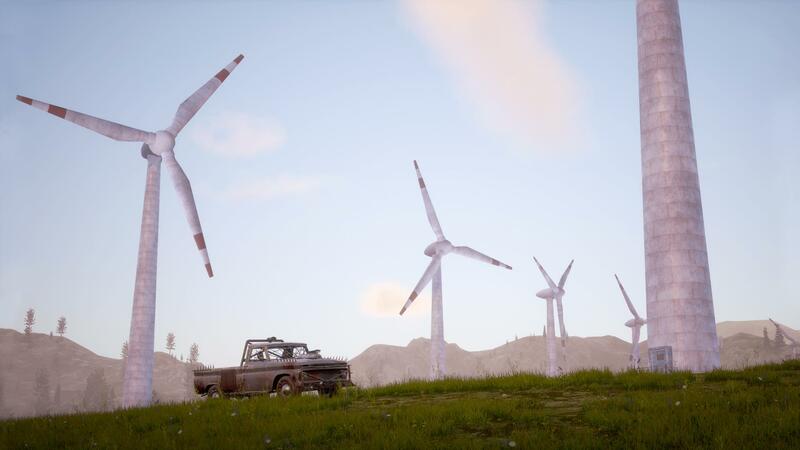 All of that will take even more hours to accomplish, and for a game that’s being sold at $30, it makes you realize that you’re getting quite a lot of bang for your buck when it comes to State of Decay 2. There’s so much simulated depth to this game that many players will miss out on if they don’t dedicate the time to it, and that’s a shame. 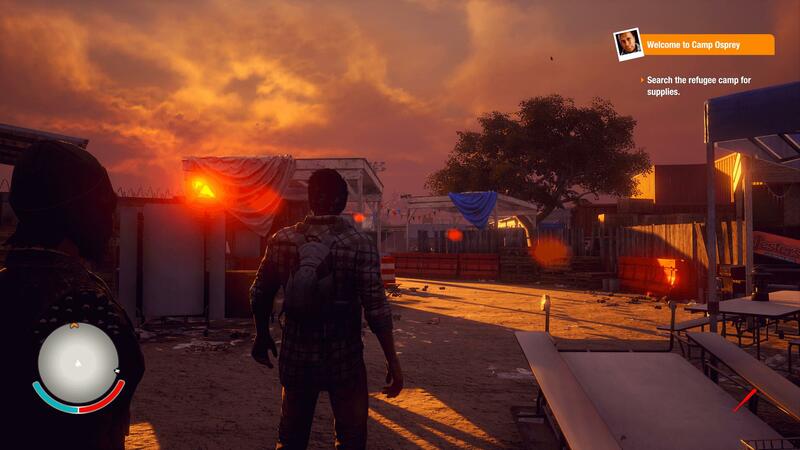 State of Decay 2 might not have the quality or polish of a full-fledged finished game, but at the end of the day, it’s State of Decay, and there’s enough content here to please both newcomers and diehard fans alike. The adrenaline-rush of scavenging through locations to find items combined with the fear of being suddenly attacked is immense. State of Decay 2 sets the atmosphere perfectly with its masterful use of music to set the tone and drive tension through the player. There’s nothing quite like it – especially at night time when you can oftentimes barely see a thing. Then there’s also the choice factor. When scavenging through loot-filled areas, you can choose to speed up the process, but at the risk of causing noise and luring zombies towards you. 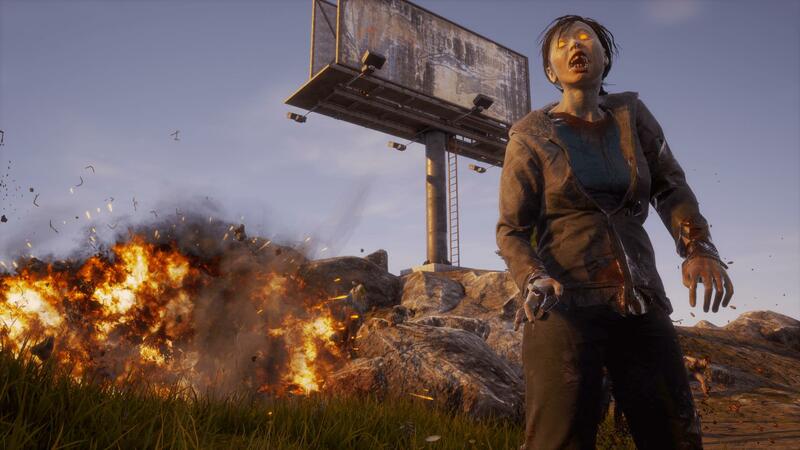 It’s this worry, fear and tension that makes State of Decay 2 so special, and in some circumstances, even unmissable – especially if you’re a zombie diehard. There's a risk-versus-reward ideology in State of Decay 2, and it's this that makes it so addictive. State of Decay 2 also has satisfying combat mechanics that can lead to either your survival or permanent death. It’s important to make the best use of what you have in the current situation, and its dynamic gameplay elements means anything could happen. However, it’s lack of overall polish and attention-to-detail detracts from the overall experience, but this isn’t unfixable. It’s on the Undead Labs team to continue updating, optimizing and polishing the overall experience to make it the true sequel that State of Decay fans deserve. I’ve enjoyed my time with the game, but there’s work to be done before it becomes the ultimate must have for every zombie game fan out there – but even now, it’s close. The Verdict – Is State of Decay 2 Worth It? State of Decay 2 has two different bundles available – the $30 Standard Edition and the $50 Ultimate Edition. The latter comes bundled with two upcoming downloadable content packages, which features the Independence Pack and Daybreak Pack, as well as a downloadable copy of the original game in the form of the State of Decay: Year One Survival Edition on Xbox One. Zombies, surviviors, vehicles and RPG mechanics. If you like all of this, you'll like State of Decay 2. 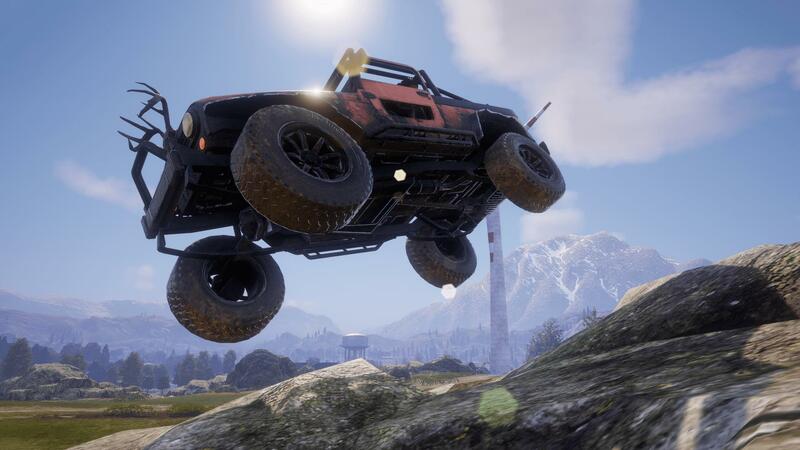 The Independence Pack will introduce new patriotic-themed vehicles, weapons and gear, whilst the Daybreak Pack introduces an all-new map with new siege facilities, missions and a variety of events, including the challenging new ‘Horde’ mode. 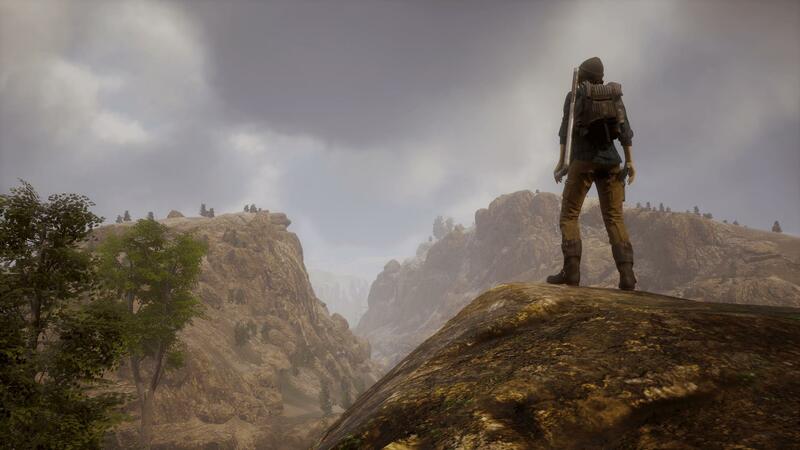 It’s good value if you’re a State of Decay fan or even a newcomer to the series, but if you’re concerned about the issues that fans and reviewers have expressed, then it’s worth holding off on it for now – especially if you’re mainly aiming to enjoy co-op with friends. If you have an Xbox Game Pass subscription – which is only $10 per month, you can enjoy State of Decay 2 at no additional cost, and in my mind, it fits the bill perfectly for it. With Xbox Game Pass, it’s worth downloading it and giving it a go, because who knows, maybe in the future you can upgrade to the Ultimate Edition to add those downloadable add-ons to your game experience. State of Decay 2 can be enjoyed today for $10, and at that price, it's certainly worth it. Xbox Game Pass is a great way to discover State of Decay 2, and I think it’ll find a new audience whilst also providing current fans another way of enjoying the game before dropping their hard-earned cash on it. State of Decay 2 has a lot of potential, and that potential can still be unlocked. It’s addictive, fun and harsh – it’s also full of depth with unique simulation-driven gameplay mechanics, and for that alone, it makes it well-worth checking out. 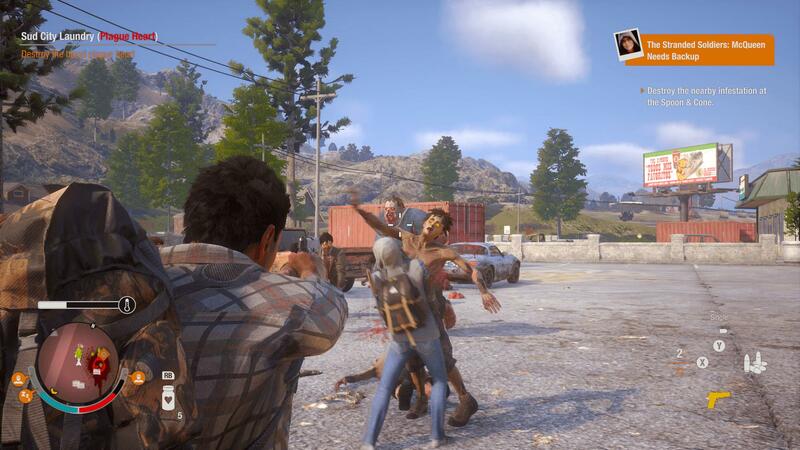 State of Decay 2 is an addictive zombie survival game with simulated base building and RPG-like mechanics, delivering a dark, gritty atmosphere fuelled by its dramatic soundtrack, tense gameplay and the worry of permadeath.